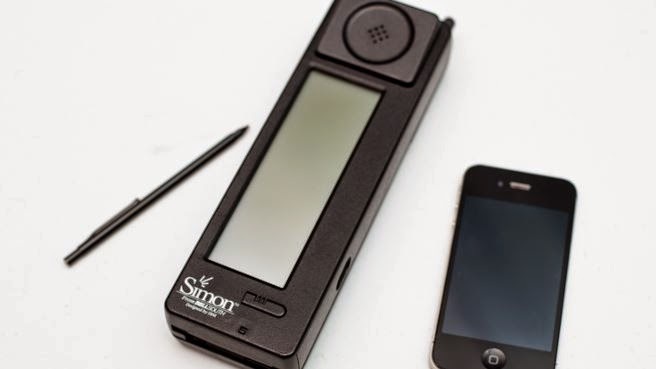 London: The first ever smartphone – a $900 clunky IBM Simon mobile phone – has turned 20 Saturday. The phone with a battery life of one hour was developed by IBM and the American cellular company BelSelf and went on sale in 1994. At around 23 cm long and weighing half a kg, it was about half the size of a house brick. “It was called Simon because it was simple and could do almost anything you wanted,” the Irish Times reported. With its green LCD screen, Simon had touch screen technology. Its software allowed users to write notes, draw, update their calendar and contacts and send and receive faxes, as well as allowing calls. “It has all the components of a smartphone, including a slot in the bottom to insert different applications such as mapping ones, spreadsheets and games. So it was really a forerunner to the iPhone,” Charlotte Connelly from the London’s Science Museum was quoted as saying. Around 50,000 handsets were sold. In October, the relic phone will go on display as part of a permanent exhibition on the history of communication and information technology at London’s Science Museum.